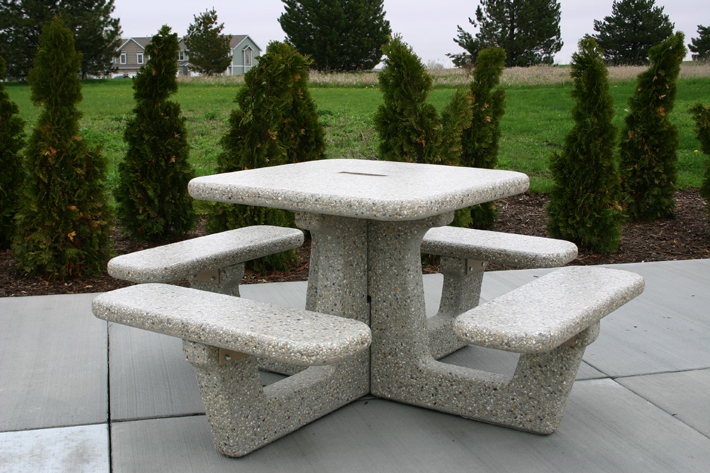 68″ square (overall) x 30 1/2″ high, with four rectangular seats. 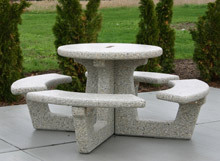 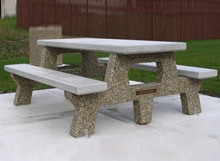 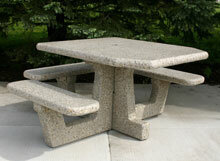 reinforced table top, seats and interlocking legs bolt together to form one unit. 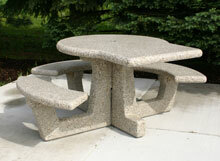 *All table top and seat surfaces are diamond ground leaving a beautiful smooth surface. 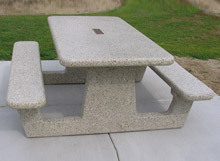 Bronze plaque inlaid into table top.